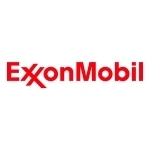 IRVING, Texas–(BUSINESS WIRE)–The Board of Directors of Exxon Mobil Corporation (NYSE:XOM) today declared a cash dividend of $0.82 cents per share on the Common Stock, payable on December 10, 2018 to shareholders of record of Common Stock at the close of business on November 13, 2018. This fourth quarter dividend is at the same level as the dividend paid in the third quarter of 2018. Through its dividends, the corporation has shared its success with its shareholders for more than 100 years and has increased its annual dividend payment to shareholders for 36 consecutive years.